We don’t let the world out of our sight. We make it easy for you to settle up. Which services are relevant for you? When a job takes your colleagues to the other side of the world, we take care of their medical safety from the outset. If you're planning a project in the middle of nowhere, we plan everything in advance. And we'll keep a cool head if the travel bug that you promised your customers turns into a tropical bug. 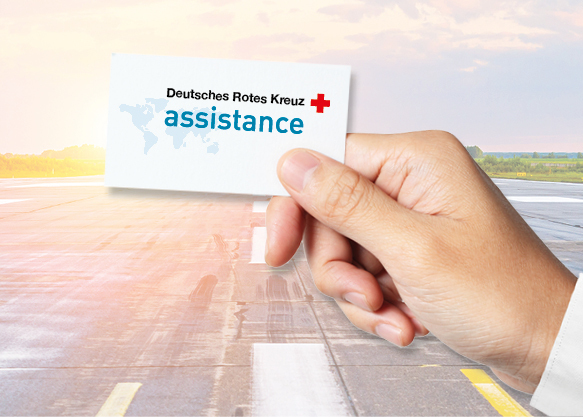 We are German Red Cross (DRK) Assistance and we're by your side, wherever you are. We build accommodation wherever it’s needed. No job is too large for us or too small. Help always there wherever it’s needed, including medical. Having enough manpower is never a problem for us.